GrayRobinson’s legislative team is comprised of numerous skilled attorneys and governmental consultants working collaboratively at all levels of government. By leveraging our strong statewide presence, our team’s relationships and decades of combined experience, GrayRobinson professionals are at the forefront of emerging legislative and legal issues. 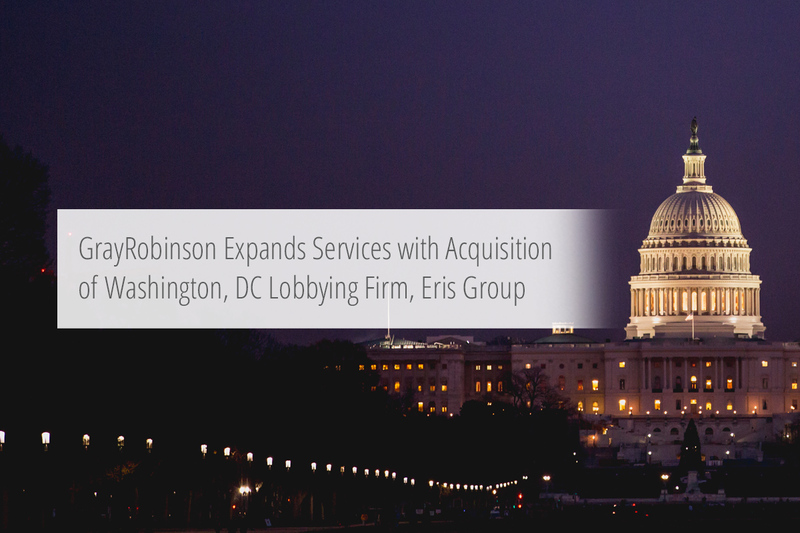 GrayRobinson is heavily engaged in the business of federal, state, local and other intergovernmental lobbying services year-round, and we have built our proficiency for more than four decades. GrayRobinson professionals have represented and served as staff for Governors, Legislators, Attorney Generals, the Florida House of Representatives, the Florida Senate and state agencies in numerous matters. Annually, GrayRobinson ranks among the top lobbying firms in the state (defined by fees collected), and it is the combination of our unmatched network of professional relationships, lobbying proficiency, and legal background that enables us to excel.